Razer making a smartphone? A few years back the idea would have sounded positively nutty, but last year brought us the surprising debut of the first-gen Razer Phone, a solidly equipped Android gaming handset with an extra-high-refresh-rate display. A follow-up device sure seems like a sensible enough idea, and earlier this month we received confirmation that Razer was planning just such a smartphone. 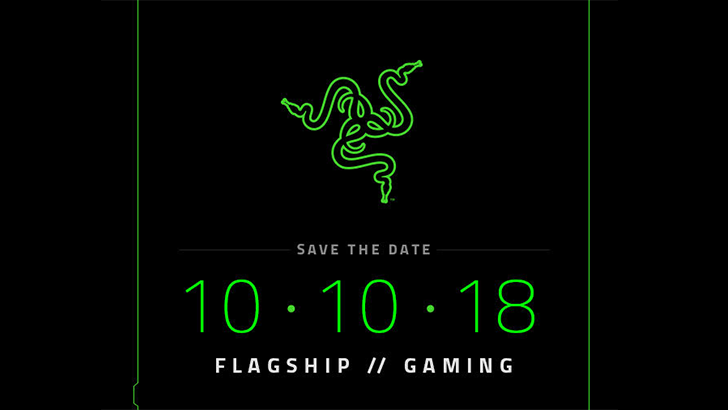 Today we start learning about how it will debut, as Razer sends out save-the-dates for an October 10 event. At first glance, you’d be forgiven for feeling a little uncertain about just what Razer’s planning to show off here — after all, the company’s got a broad platform of products, any number of which we could apply the labels “flagship” and “gaming” to. 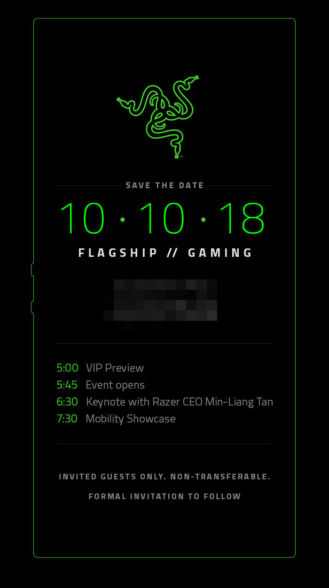 But then you take a step back and realize the green frame outlining this invite is no simple border, and features the tell-tale bumps of the Razer Phone’s volume buttons: We’re looking at a smartphone silhouette. Further support for the idea that this event will be the premiere of the Razer Phone 2 comes by way of a leaked render, surfacing earlier this week. 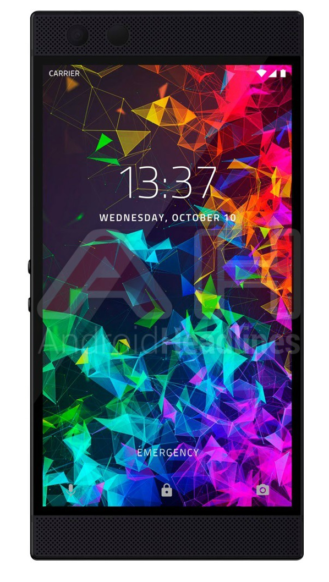 While it doesn’t give us a lot to look at, largely mirroring the design of the first-gen Razer Phone, we do see the phone set to this very same October 10 date. Coincidence? We think not.